I read this article and found it very interesting, thought it might be something for you. The article is called ‘If India Can Have National GST, Why Can’t It Have Universal National Healthcare?’ and is located at https://archive.indiaspend.com/cover-story/if-india-can-have-national-gst-why-cant-it-have-universal-national-healthcare-32748. If the state and Centre can collaborate on a national tax system, why can’t India similarly create a nationwide universal healthcare system, created and run primarily by the government? That’s a question we explore today in an interview with Srinath Reddy, 66, one of India’s foremost medical experts and president of the Public Health Foundation of India (PHFI). India spends no more than 1.4% of gross domestic product on healthcare, among the lowest globally, and 52.5 million Indians regress into poverty every year from health-related causes. In 2016, six in 10 deaths nationwide were due to non-communicable diseases–up from four in ten deaths in 1990–showed the recently released State-Wise Disease Burden Report brought out by the PHFI in collaboration with, among others, the Indian Council of Medical Research, the government’s network of medical-research laboratories. The PHFI is a public-private partnership between state and central governments and international and national academia, bilateral agencies and civil society groups and conducts public-health training, research and policy development. Yet, in April 2017, India’s ministry of home affairs (MHA) cancelled the PHFI’s Foreign Contribution Regulation Act (FCRA) licence, citing its anti-tobacco advocacy as one reason. The PHFI has since cut operations and laid off 60% of its staff, many of whom were Indian-origin academics who had returned home. Many of the academics laid off have now gone back abroad. The government’s crackdown against the PHFI comes at a time when, as we said, non-communicable diseases are debilitating or killing more Indians than ever before. The public-health system struggles to cope because it is understaffed and underfunded: Compared to the 1.4% of GDP that India spends on healthcare, Sri Lanka spends 2%, Thailand 3.2%, Brazil 3.8% and China 3.1%, according to World Bank data. All these countries have improved healthcare at rates faster than India’s. Reddy has served on many WHO expert panels and has been the president of the World Heart Federation (2013-14). In 2010, he chaired a government “high-level expert group” on universal health coverage and was the president of the National Board of Examinations, which conducts post-graduate medical education examinations in India. In 2003, Reddy was awarded the WHO’s director general’s award for outstanding global leadership in tobacco control, and in 2005, the Indian government gave him the Padma Bhushan, India’s third-highest civilian award. 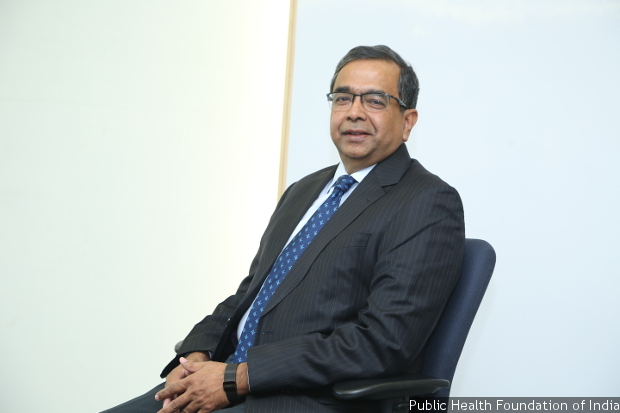 Srinath Reddy, 66, president of the Public Health Foundation of India, was awarded the WHO’s director general’s award for outstanding global leadership in tobacco control, and in 2005, the Indian government gave him the Padma Bhushan, India’s third-highest civilian award. PHFI was part of the ‘State-Wise Disease Burden Report’ released in November 2017. It showed how the burden of non-communicable diseases (NCDs) which accounted for 37.9% of all deaths in 1990s, rose to 61.8%, causing six in ten deaths in India in 2016. While more prosperous states, such as Punjab, Tamil Nadu and Kerala, have a higher burden of NCDs, poorer states still grapple with infectious diseases. What should be the game plan for prosperous states? Well, the states that have started exhibiting a fairly high burden of NCDs–both in increase in the percentage of deaths and, more importantly, the higher risk factors that will led to a higher burden in the coming years–these states will have to take urgent action. You have to ensure that people are prevented from acquiring high risk by tackling tobacco, by ensuring healthier diets, by ensuring adequate physical activity and trying to reduce other risk factors like pollution: These are going to call for multi-factorial coordination from different sectors. Apart from the policy environment, which needs to be structured in order to create a conducive environment for healthy living, you also need greater awareness from schools onwards, so that children are aware of what to avoid; (you also need) workplace and community awareness. Health promotion through policy and community-oriented work is important but early detection in persons with risk factors and reducing that risk, both through non-drug measures– what is called lifestyle advice–but also drugs when necessary, can greatly reduce the risk factors that can end in catastrophic events. So, management of risk and early management of disease is going to be a very important element of primary health care. Primary healthcare services need to be geared for not only health promotion and disease prevention but also early detection of risk factors and management of risk factors and disease and appropriate referral to higher levels of care for those people who need it. This is where the health system has to be (re) configured: From the perspective of chronic disease management and risk reduction; from providing sporadic care for infectious diseases, continuous care has to be infused in the health system, especially at the primary and secondary level because tertiary care can be still about acute care. So, I am talking about three areas–policy level interventions, community level intervention and health service intervention. Many of these can be done without much expense. If you are talking about taxation on tobacco, it is not expensive. If you are talking about treatment of high blood pressure and diabetes with simple generic drugs, it is not terribly expensive. Not as expensive as pumping money in coronary stents and bypass surgeries and renal transplants, much of which can be avoided and should be avoided if you take early care. That is the lesson they [states] have to learn, if they only want to pump in money in advanced care, it is going to be a never-ending task because the disease burden will continue to rise, and healthcare costs will continue to rise. The NCD burden is increasing both in urban and rural areas. Yes. Urban areas will always be at the forefront of this epidemic, but rural areas will also bear a big brunt because they are also transforming. More importantly, because of the paucity of health services, eminently treatable conditions are not treated till they become complications: The percentage of people with high blood pressure may be higher in urban areas (than rural), but more people get care in urban areas, whereas in rural areas, high blood pressure may remain undetected till it manifests as paralytic stroke. That is why we are emphasising early detection and effective treatment with or without drugs. When drugs are needed for supplementary measures, they should also be given. That is where primary care remains pivotal. In 2016, ischemic heart disease was the top cause of death in India–causing 17.8% of all deaths in the country. What can the government realistically do through its health system to tackle the increasing burden? What are the lessons we can borrow from other countries? Finland had the highest mortality rates (for ischemic heart disease) anywhere in the world in the early 1960s. Then they introduced a programme of community health education and revamped health services. They also dramatically changed the dietary patterns of people by not only reducing the saturated-fat consumption but also increasing the availability of fruits and vegetables. They replaced ‘dairy’ farms with ‘berry’ farms. They also brought in better healthcare through early detection and treatment and reduced smoking rates dramatically. In 20 years, Finland had such a dramatic drop in average population cholesterol levels and coronary mortality rates that it became a poster child for prevention (of heart disease) in Europe. We know that even in other developing countries, people are managing diabetes and hypertension in community settings with nurses and community health workers. Studies from South Africa, Iran and Mexico (show) that non-physician healthcare providers can effectively detect and manage high blood pressure and diabetes. Other countries have shown how effective tobacco control has influenced cardiovascular mortality rates. Since the primary health system in India is focussed on maternal and child health, does that also take the focus away from NCDs? Unfortunately, because of donor-driven programmes, we had a very vertical programme. Maternal programmes are very important, the malaria programme is absolutely important and we should not give it up. TB control is very important, we must not give it up. But we must deal with all problems. We have never looked at primary healthcare as serving a family, we have looked at it as serving a programme. 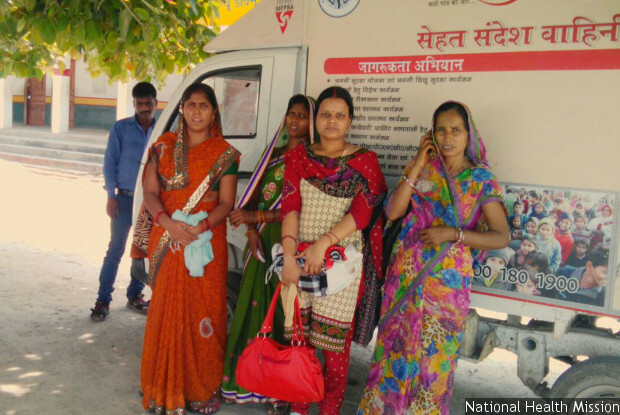 If you make your primary health care comprehensive care, put a human face to–but not of a single child and a single mother but of the whole family–then primary health care becomes successful in broad-basing its care package. We already find that the Accredited Social Health Activists (ASHAs) and Auxiliary Nurse and Midwife (ANMs) are over-burdened with maternal and child care–each must implement reproductive and child health, immunisation, family planning and community health programmes. That is why we need to expand our healthcare workforce; our health workforce density is very low in rural areas. We need more people, and this is a wonderful opportunity to create employment too. We are talking about jobs, jobs and jobs. Why not address the needs of the healthcare system and also provide jobs to young people, particularly to allied health professionals? This is going to generate a lot of jobs for young people. You have to look at this not only for serving the needs of the people but as a way of boosting the economy. Universal health coverage was supposed be operational in 2012. Why haven’t we seen any moves to implement the programme? What are the biggest barriers to universal health coverage in India? The biggest barriers are the lack of a system approach. We are so used to programmes and sudden initiatives that we look for short-term impact. We don’t have the attention span to really create system architecture, which will incorporate some early elements but progress towards medium-term and long-term objectives and sustainability. Second, of course, is the very low level of public financing. If you don’t increase public financing, you get into the mindset that the public sector cannot do anything. You have to leave it to the private sector to do what it wants and lose the opportunity to create a system that provides accessible and affordable care, which is the essence of universal health coverage. So, disconnected initiatives, particularly providing short term answers out of urgency and expediency are resulting in an inability to create a system for universal health coverage. This needs to be first set right by increasing public financing, pooling all the resources available in terms of tax revenue allocated for health, employer-provided insurance and government-subscribed social insurance schemes into a single one. If you build such a system, you can have a single payer system where you have the negotiating power to dictate quality and cost. You are not now able to do that. Many countries that depend on the private sector to deliver a large part of (health) services also employ a single payer system to exercise control. We have seen how it succeeds even in drug procurement. In Tamil Nadu, single procurement has given the state power in negotiations. When you eliminate the middlemen, you bring down the cost. A high-level expert group probing universal health coverage had recommended that India spend 2.5% of its GDP on health by 2017 and 3% by 2022. India’s public health expenditure is 1.4% of GDP and now the National Health Policy 2017 talks about increasing it to 2.5% of GDP in the future. Are we just shifting our goal posts to the future? It always happens that governments–whichever party is in power–looks for visible, early gains. These are usually in the form of infrastructure, power–all of these are important. They understand health sector funding is important, but it doesn’t get time during budget [discussions]. The argument is: Why increase funding when the absorption is poor, and some of the money is returned? What is the point in pumping more money into a leaking, ineffective system that is unable to absorb [the money]? Now, this argument is not correct because when you have a weak system, you have fewer people in health workplaces, you don’t have proper managerial talent, you haven’t employed or created a public-health cadre, you haven’t developed district hospitals to strength, you have let primary healthcare languish. The absorption capacity and utilisation capacities are both reduced. On the other hand, you pump in money, expand the health workforce, pay them better and motivate them to work longer hours and introduce accountability measures: Then, you get the public sector to perform better than the services you purchase from the private sector, with more accountability. Healthcare will improve. For that you need to improve your level of financing. How will the system pick up speed, when you don’t change gear? When you change gear, you will have to press the accelerator, pump a little more fuel. This is simple mechanics– they [the government] should understand that. The NITI Aayog has been pushing for a public-private partnership in healthcare, especially to diagnose and treat NCDs in district hospitals, and, in some cases, handing over management of hospitals to private providers. What are your thoughts? And what are the checks and balances needed to ensure access to the most vulnerable. The problem is that we have a mixed health system, which has evolved by default and not design. The public sector is languishing because of under-resourcing and poor management over the years, [so] the private sector has grown in an unregulated environment to fill the space that is left vacant. Of course, it is not well distributed and mostly urban and mostly caters to the more affluent or those living off government programmes. There is no point in saying that district hospitals, which have to be centres for secondary care, are not providing adequate services, so we will get private players. Also, district hospitals must become teaching centres for medical and nursing colleges–this is part of the National Health Policy. It is absolutely important that governments spend on district hospitals. There are two models to bring in private players to supplement capacity to handle some of the NCDs, such as diabetes, cardiovascular disease, cancer: Either you can empanel private providers to fill the gaps with strategic purchasing, with very clear cut deliverables and accountability mechanisms, or you can invite them to set up shop in your own district hospitals, invest in infrastructure, give them a long-term lease of 30 years and ask them to provide services, which is what NITI Aayog proposes. The problem with the second [option] is you are at the mercy of the private-service provider. You cannot decide the services or quality of services they [private service providers] are going to provide. Only some of your patients are going to be referred there. The rest are essentially going to be subjected to the demands of private healthcare providers, who set their own prices. There is no guarantee that patients referred by the government are going to be prioritised because there is no quota or percentage of beds. More importantly, if the private-service provider does not provide service up to your expectations, how are you going to throw the person out? Because that person says, ‘I have invested in infrastructure, I have invested in equipment, I have the right to stay because you have given me a 30-year lease.’ So, within these 30 years, if they do not perform, and you want to throw them out, there will be litigation because after 30 years they are now fully established, and they think now they have tenancy rights. You have created trouble for yourself by getting this kind of arrangement. If you do need a private-sector partner, do let them stay outside the district hospital and empanel them. But getting them inside as a non-paying guest with permanent tenancy rights is unheard of even in the real-estate market. India is still heavily dependent on the health-insurance model to provide healthcare. It is estimated that 25% of the population is covered by state- or private-health insurance. However, as a 2016 Brookings report shows, it hasn’t reduced catastrophic expenditure or prevented families from falling into poverty. Actually, this was also revealed by an earlier analysis done by PHFI’s own researchers on RSBY [Rashtriya Swasthya Bima Yojana or National Health Insurance Scheme] and on a programme in Andhra Pradesh that started as Aarogysri [state health insurance]. These programmes have increased access of poor patients to hospitals, particularly private hospitals, where these patients could not previously go, but that has not reduced the financial burden. There are many reasons. First, since RSBY covers only upto Rs 30,000 which does not cover the entire cost, the additional cost the person has to pay from his own pocket and the hospitals can raise the cost to high levels because they are the ones who decide what procedures are required. Second, it does not cover outpatient care before or after the procedure. After the procedure, if you are asked to come to the hospital for 10 outpatient visits with so many tests to be done, all of these costs are accumulated costs, right? It is true that some good is coming out of medical treatment but the financial protection component of the programme is not being served. Sometimes, the presence of this particular insurance mechanism is providing an incentive to hospitals, in the absence of proper regulation, to create induced demand, to do unnecessary procedures, to cash in on the person’s coverage entitlement. We need a system that actually provides financial protection, appropriate care and universal access. The insurance programmes are well intentioned, but they do not fulfill these objectives. Is the national health insurance model being reviewed? Do we have an alternative? Is there any kind of discussion around them? Well, there is an interest in creating a ‘national health protection scheme’, an expansion of the RSBY. But unless we create very well thought out universal health coverage, combining primary, secondary and tertiary services and creating a single payer system through pooling of multiple healthcare-funding resources and creating a large risk pool, we will not be able to address this problem. If we attempt piecemeal solutions, we will all always encounter failure. The problem is the policy makers in the health ministry, probably, are aware of and recognise this, but I am not sure policy makers in other relevant departments, particularly in the finance ministry, understand the complexity of health services and universal health coverage. They probably see it as a simple dynamic of purchasing services, and purchasing services is easy from a private sector with seems in a position to deliver as opposed to the public sector. They must recognise, however, as they do elsewhere in the world, that the usual market dynamics do not work in health. Here, there is a total asymmetry of knowledge and decision making. You do not know the kind of care you need, and you cannot dictate to the provider the terms of the purchase, in choosing one option over another–that decision is made for you by the provider. So, everyone knows that healthcare is not a perfect market condition; it has been called a market failure. In the case of market failure, the state has to step in and take responsibility. It will not be the sole provider, but it has to be the guarantor of services–of access, of appropriate care, of good quality and of cost that does not impose a financial burden on the individual. Unless it creates that kind of a system, you will have multiple mechanisms operating, and the most vulnerable person will be the patient and the family with little power. We need to ensure that the health ministry also understands this clearly. It has to involve all the decision-making ministries and agencies in the government, it has to involve all political parties. There must be sense of commitment with continuity; it must involve both central and state governments. There is also an issue of portability. We are talking about a single country. Now, if someone is born in Chennai, educated in Hyderabad and works in Delhi, the (health) system ought to cater to that person throughout life. You can’t say that I have to go to Chennai or Hyderabad to claim your entitlement. You have to create a system which has all of these characteristics– it requires a bit of thought and some patience. Unfortunately, the pace with which decisions are made, with [decision makers] feeling the pressure of demands, you go for the easy solution rather than having patience to create a system. We must make sure that ill health does not cause either economic damage to India’s development or increase poverty [52.5 million Indians regressed into poverty in 2011 because of ill health]. If we subscribe to that vision, let’s create a system. Now, on a matter like taxation, the central and state governments sat together and created GST [Goods and Services Tax]. Isn’t this (creating a health system) as important if not more important than [GST]? Why can’t we create this kind of system? It requires people coming together to understand an issue and then coming to a fairly common sense solution. The PHFI was barred from receiving foreign funds in India by the home ministry in April 2017. Some of the issues raised were related to tobacco advocacy and HIV-AIDS. Well, some of the reasons given were related to tobacco advocacy, which was termed as lobbying. We pointed out, very politely, that the word lobbying does not exist anywhere in the FCRA [Foreign Contribution (Regulation) Act 2010]; it’s not there, [it’s] not defined. Advocacy is permissible, as long as it leads to awareness enhancement among policy makers, as well as the general public and professional community. Our effort was, essentially, to share results of our own research, as well as global research, with all people who matter, and therefore, it did not mean any lobbying. We were involved in information dissemination and awareness enhancement. But tobacco is an area that obviously has some powerful advocates, and they, probably, felt that our efforts were harming industry interests. In typical industry fashion, they used farmers as a shield and projected potential harm to farmers as damage done by tobacco control. We argued that tobacco control, even if successfully implemented, will take a few decades to drive down demand to such a level that farmers are affected. There is enough time to shift them over this period to alternate occupations. And that the solution does not lie in slowing down tobacco control but in speeding up transition to alternate occupations and other crops. However, it appears that some of the industry-mediated criticism directed at us–that it will be harmful for India’s economic interest–may have been picked up, and we were accused of not acting in national interest. But national interest is reflected by the National Health Policy. It is reflected by our commitment to sustainable development goals; it is reflected by the Indian Parliament’s will to unanimously enact the Indian Tobacco Control Legislation in 2003; it is reflected by the Indian government subscribing (in 2004) to the Framework Convention of Tobacco Control. So, if all of these represent the national interest, we are serving the national interest. I hope chief ministers and health ministers of all states study these suggestions. It is high time the chief minister of Maharashtra approved the “Maharashtra Clinical Establishment Act”, which is pending for the last three years after getting clearance from the legal cell. The draft has suggested solutions for grievances at the district level and patients’ right to dignity. A universal healthcare system is a great idea. Unfortunately, health and education, though the most important aspects of life, have always been low priority areas for the government as they involve expenditure without VISIBLE income. We need a long-term solution targeting prevention of diseases. Each state government should make health education mandatory in all K-12 schools. Health education should be treated on the same level as reading, writing and arithmetic. NCERT has already made this recommendation but state governments don’t follow it. Improving lifestyle health habits can make a significant impact in reducing India’s disease burden. We will need some allocation of funds to train and support health education teachers nationwide. Well-balanced, critical analysis. Wish our govt rise above petty politics and do something. Otherwise, we will never become the leader we are projected to be.